Four campaigners for human rights and religious freedom have gone missing in Pakistan. The four men, Salman Haider, a well-known poet and academic, and bloggers Waqas Goraya, Aasim Saeed, and Ahmad Raza Naseer, went missing or were taken away from different cities between January 4 and January 7. All four were critical of militant religious groups and Pakistan’s military establishment, and used the internet to share their views. The government’s refusal to provide information on the whereabouts of a person taken into custody amounts to an enforced disappearance, says Human Rights Watch, which is a serious violation of international human rights law. Pakistan has a long history of intimidating or gagging dissenting voices. 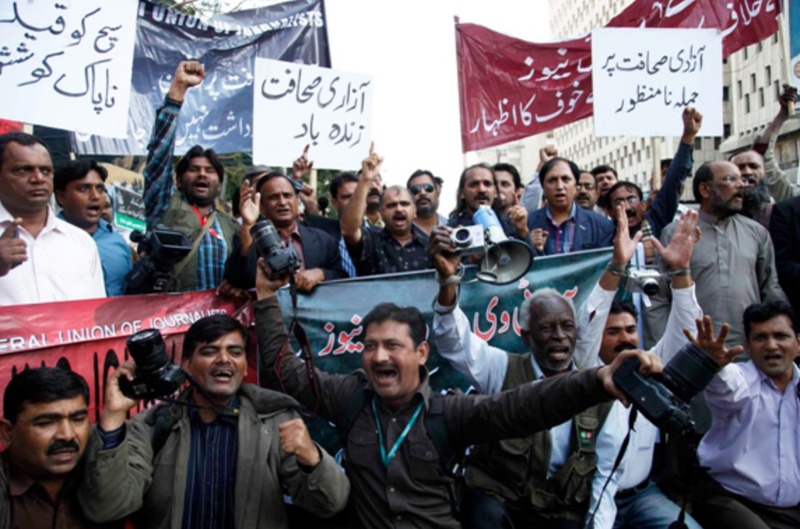 Pakistani and international human rights groups have reported on the intimidation, torture, enforced disappearances, and killings of activists and journalists.